Exciting news from the Polish School of Charlotte – To further support our mission and foster the continuation of Polish language and culture in the Carolinas, the decision has been made to transition to an event-based curriculum. We hope that this new approach will invite more of our community to attend, participate and volunteer. 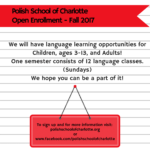 As a result of this decision, the Polish School of Charlotte will no longer provide weekly Sunday classes for children and adults. Instead, the school will announce multiple events open to the entire community to attend. We ask the community to support the school by attending and volunteering at events throughout the year. 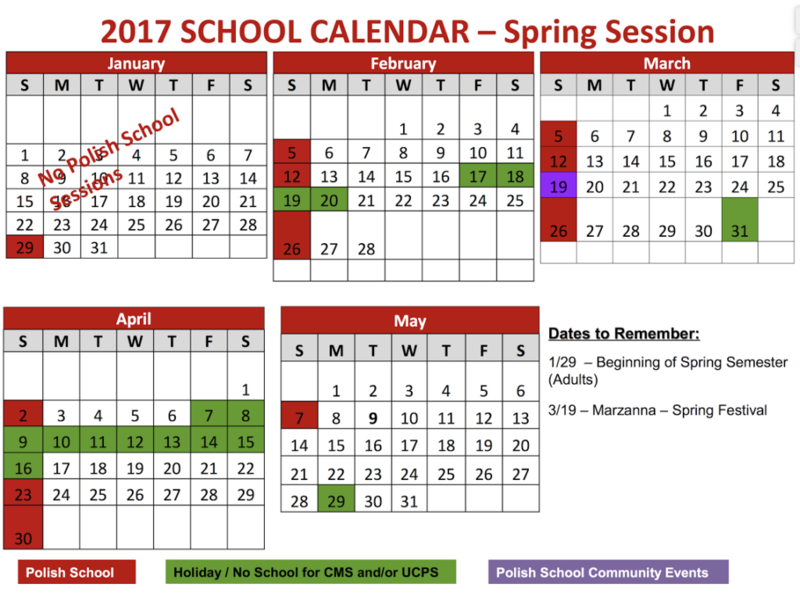 Details of our events will be posted on the home page of the Polish School of Charlotte website and Facebook. Check back soon for updates regarding Fall events! Please direct your inquiries to info@polischschoolofcharlotte.org . Enrollment for Polish Language classes in Fall 2017 is now Opened! Do you have Polish roots? Have you ever been to Eastern Europe and fell in love with the culture, architecture, and landscapes? Would you like to meet interesting people from all over the world? Do you want to learn a new language? 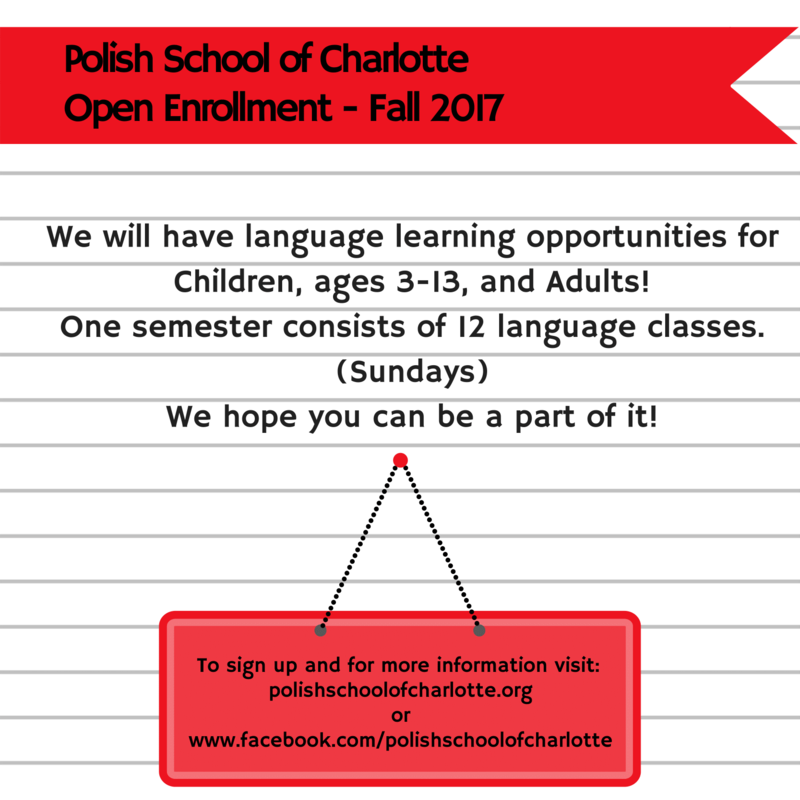 Explore these opportunities at the Polish School of Charlotte, a non-profit organization providing language, history, culture, and geography classes for the community. We are a vibrant multi-generational, multi-cultural group and still looking for more friends to join us. Classes will begin in September and will be held on Sundays(excluding holidays). We will have language learning opportunities for kids ages 3-13 and adults! One semester consists of 12 language classes. We hope you can be a part of it! Free admission for children under 5.